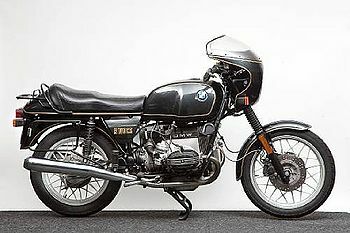 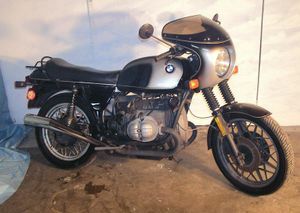 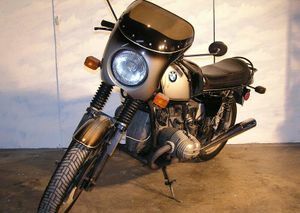 Just a few years after introducing the BMW R90/6 and BMW R90S, BMW upped the capacity of its range-topping flat-twins to 980cc for the 1977 season in the form of the '/7' series, comprising the R100/7 tourer, the cockpit-faired R100S sportster and the fully faired R100RS superbike. 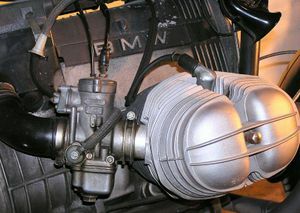 Within a couple of years the R100/7 'naked' had been re-titled 'R100T' and given the 65bhp engine previously fitted to the R100S, while from 1980 the latter gained the 70bhp engine that had been enjoyed by the R100RS from the start, becoming the R100CS. 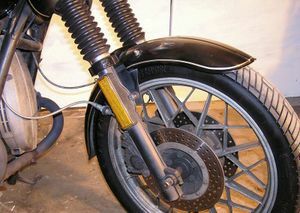 This page was last edited on 20 January 2011, at 19:30.